Below you can view all the homes for sale in the Aberdeen subdivision located in Suwanee Georgia. Listings in Aberdeen are updated daily from data we receive from the Atlanta multiple listing service. To learn more about any of these homes or to receive custom notifications when a new property is listed for sale in Aberdeen, give us a call at 404-998-4162. Gym/Dance Room With Walled Mirrors And Ballet Bar. Many Upgrades Throughout. MLS#6537968. Mark Spain Real Estate. Located In Lambert School District. Active Neighborhood Has Swim/Tennis. MLS#6534428. Drake Realty Of Ga, Inc.. Partially Finished, Daylight Basement Offers Plenty Of Space For Storage, Or Future Finishing Options And Access To Exterior Patio And Yard. MLS#6534739. Keller Williams Rlty, First Atlanta. Gorgeous Fenced Backyard!! Don'T Miss Out! MLS#6534492. Keller Williams Realty Atl Part. 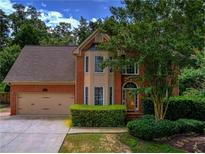 Quiet Cul-De-Sac.Swim Tennis Community With Clubhouse And Playground. MLS#6532726. Atlanta Fine Homes Sothebys Intl..
Daylight Basement Stubbed For Bath, Fully Wired, Ready To Finish. MLS#6532095. Coldwell Banker Residential Brokerage. Easy Care, Low Maintenance Lawn. Full Length Rear Deck. MLS#6529190. Keller Williams Realty Community Partners. Huge Backyard Is Perfectly Level For All Your Family Activities MLS#6523616. Realty One Group Edge. New Hardwoods, Car Charger, And Solar Shield Roof Panels For Low-Cost Cooling Are Added Bonus. Sprawling Swim/Tennis Community! MLS#6520167. Keller Williams Rlty, First Atlanta. Swim Team, Tennis Team, Jr. Tennis Team, Pool, Club House And Playground. MLS#6508147. Solid Source Realty, Inc.. Guests Will Enjoy The Convenience & Comfort Of Finished Basement W/ Modern Kitchen, New Cabinets, Granite, Bed & Bath Complete With Large Entertainment Room, Gym, Wall Mounted Tv.Oversized Deck Ovrlks Wooded Privacy.Siding Has Been Replaced, 3 Sides Hardi Cement, Architectural Roof 6 Yrs Old.Central Vac, Irrigation, Deck Boards New. MLS#6506190. Keller Williams Realty Atlanta Partners.